The third edition of the Dentsu Aegis Network-exchange4media Digital Advertising Conference unveiled the Digital Report at the Four Seasons Hotel in Mumbai on Wednesday. 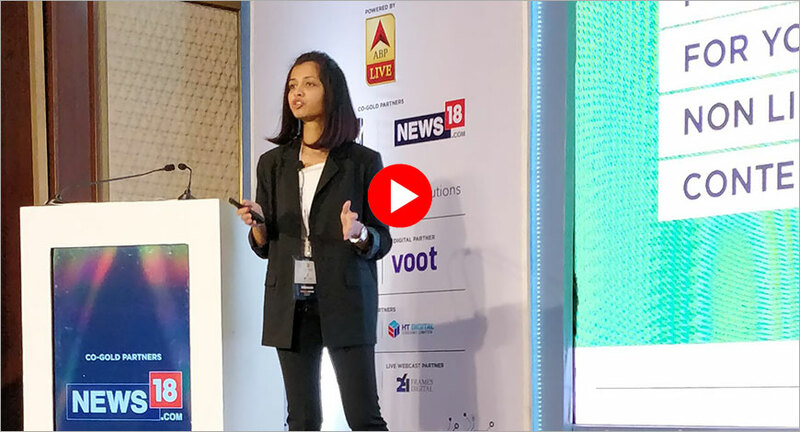 At one of the speaker sessions held during the event, Malika Kutub, Director Sales, Daily Hunt, spoke about the company’s strategy for the upcoming elections and how the content aggregator app will transform the whole election coverage on Digital, for the first time in India. “We have always seen News Broadcasters doing special packaging and content before the elections, but this time audience will witness a seamless and personalized content on their smartphones,” Kutub said. “At Daily Hunt our attempt is to ensure that the masses residing in across the length and breadth of the country make an informed decision. We will be reaching out to 50 per cent of the first-time voter base in India. Also, there is around 30 per cent second-time voter base in the country. So we are ensuring that this large user base knows about the parties, sources, agenda and so forth,” she explained. She stressed on two points: The kind of content to be provided to the users, and how it will be served. “The youth are no longer satisfied with one-way speeches. We make sure to make it interactive in nature, where we have discussion forums as well. The entire experience is going to be non-linear. Users don’t want one-way communication. We made sure that we allow the users to choose the topic that they want to follow,” she added. “A great combination of technology, product and content has come together and we’re extremely excited to cover the elections on Daily Hunt, ensuring that it is done in a personalized manner, which has never been done in India before,” she concluded.